Smooth muscle cells (SMCs) are specialized cell types found in the walls of many organs, including the stomach, small and large intestines, bladder, uterus, and blood vessels. In particular, the SMCs found in the blood vessels are called vascular SMCs (VSMCs), and help regulate blood pressure by constricting or dilating vessels. SMCs are also important responders to vessel damage and are involved in the healing process. The variety of SMC activities is mediated by their ability to undergo “phenotype switching.” Under homeostatic conditions, VSMCs are maintained in the contractile phenotype. However, if damage occurs to the vessel, part of the VSMC response is to reduce expression of proteins required for the contractile phenotype, while beginning to proliferate, migrate, and produce extracellular matrix proteins. The combined effect of this phenotype switch is the migration of VSMCs to the site of injury, where they proliferate and generate extracellular matrix to heal the wound. Importantly, abnormal phenotype switching from the contractile phenotype to the proliferative phenotype is implicated in cardiovascular disease, in particular, atherosclerosis. Advances in tissue engineering have led to the development of cellular self-assembly systems, in which cells self-assemble into tissue-like structures. The Rolle laboratory at Worcester Polytechnic Institute has developed a cellular self-assembly system in which Lifeline® human coronary artery SMCs assemble into tissue rings that mimic the vessels of the vasculature. These in vitro systems rely on proper growth factor delivery, which may be impeded by diffusion or limited access to receptors on the cell surface. To overcome these limitations, Strobel et al. tested whether gelatin microspheres (engineered spherical particles) can be incorporated into self-assembled VSMC rings, and whether those microspheres can be used to deliver functional TGF-b1. To first confirm microsphere incorporation into the SMC rings, the authors performed histological analysis and found that when the tissue was grown in either VascuLife® or differentiation medium (which supports differentiation into the contractile phenotype), there was efficient microsphere incorporation by Day 7. In both types of medium, microspheres degraded by Day 14. The authors noted that some mechanical and physical properties of the SMC rings were altered when seeded from 0.6 mg/106 cells, compared to from 0.2 mg/106 cells. In differentiation medium, failure load increased with both cell seeding densities. Next, the researchers tested whether the gelatin microspheres could deliver TGF-b1 to the SMC rings. Unlike their original experiment, microspheres in this second experiment were efficiently incorporated into SMC, without degradation by Day 14. Importantly, TGF-b1 microsphere-treated SMC rings spontaneously contracted and expressed contractile proteins, including smooth muscle alpha actin and calponin, markers of the contractile phenotype. Together, this study elegantly demonstrated that gelatin microspheres can be incorporated into SMC ring constructs, and can be used to deliver functional growth factors and induce the contractile phenotype. Studies such as this one may impact how vascular disease is studied in vitro, demonstrating the use of this model system for screening of potential therapies. A significant challenge for dialysis patients is vascular calcification, which occurs when mineral deposits are found in the blood vessels. 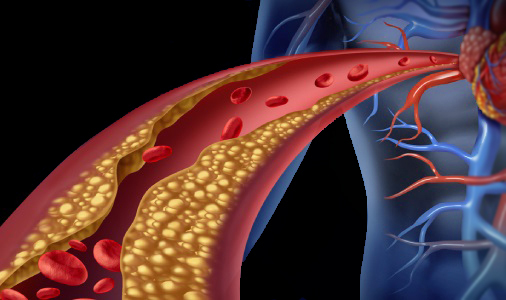 Vascular calcification can negatively impact cardiovascular health by altering the elasticity and homeostasis of the blood vessels. The source of this calcification is VSMCs that undergo aberrant osteoblastic differentiation and deposit mineralized extracellular matrix into the blood vessels. This VSMC transition can be initiated by toxins that build up in the blood of patients with uremia. Uremia commonly occurs in patients with late stage kidney disease, and is characterized by increased levels of urea and nitrogen waste in the blood. This occurs because of reduced kidney function and the failure of the kidneys to properly filter the blood. TNF-a and IL-6 are two common uremic toxins that are not cleared by dialysis due to their small size and contribute to vascular calcification. Therefore, in a 2017 study, Zickler and Luecht and colleagues set out to define the role and mechanism of TNF-a and IL-6 in vascular calcification. The group first confirmed that TNF-a and IL-6 were present in the sera of uremic patients, reporting increased concentrations of both compared to that in sera from healthy patients. To test the effects of uremic serum on VSMCs, the group treated Lifeline® human coronary artery VSMCs with pooled sera from uremic patients and found that IL-6 transcript expression was induced. This effect was blocked by a TNF-a blocker, suggesting that IL-6 expression in this context is TNF-a-dependent. Additionally, direct treatment of VSMCs with TNF-a resulted in IL-6 promoter activation 6-12 hours after treatment. The researchers then mapped the TNF-a responsive elements in the IL-6 promoter, confirmed to be sites for the c-FOS transcription factor. Indeed, when c-FOS was inhibited, the researchers found that uremic sera-induced IL-6 transcription was blocked. Having confirmed the regulation of IL-6 by TNF-a and uremic sera, the researchers then examined how these factors affected VSMC phenotypes. When grown in osteogenic induction medium and exposed to uremic sera, which induces VSMC transition to an osteogenic phenotype, the authors found that IL-6 mRNA levels in VSMCs were increased in a TNF-a-dependent manner. Furthermore, compared to cells exposed to healthy sera, cells exposed to uremic sera and grown in differentiation medium expressed higher levels of transcripts related to the osteochondroblastic phenotype and oxidative stress, which were also TNF-a- and IL-6-dependent. Finally, by Day 10 in osteogenic medium, compared to those exposed to healthy sera, VSMCs exposed to uremic sera deposited increased amounts of calcified extracellular matrix in a TNF-a- and partially IL-6-dependent manner. The results of this study therefore identify a role for TNF-a in vascular calcification, driven by induction of IL-6 by c-FOS. This pathway might be targeted using agents against TNF-a to combat vascular calcification in uremic patients undergoing dialysis. Check back with us here on the blog every other week to read about a different Lifeline® cell type. Tell us how you use our cells and we might feature your work!